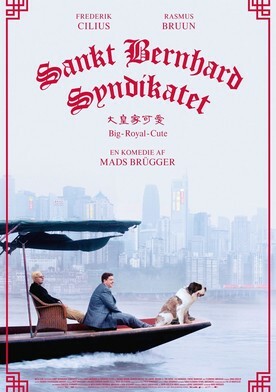 Plot: The film is a comedy about Rasmus and Frederik, two Danish men in their 30s, who head out on a business venture. They know each other from a boarding school back in Denmark and none of them have really been successful in life so far. Now they meet, 15 years later, both keen to set up a dog breeding centre. The two partners have learned that so-called luxury dogs are extremely popular among the Chinese upper class and therefore expect this to be their way into fast and overwhelming wealth in China. A 200 plus lb St. Bernard dog by the name of Dollar travels with them to Chongqing. Here they meet up with the mysterious Mr. Liu who owns the largest bakery in Western China and who believes that dogs are as powerful as humans. Soon, the dog business evolves in unexpected ways, while the friendship between the two Danes grows stronger.